May is Healthy Vision Month, and the National Eye Institute wants to encourage all Americans to focus on their eye health this month. 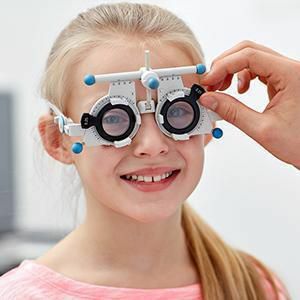 You may not know that your pediatrician or family practitioner check your child’s eyes at almost every visit by looking at the appearance, alignment, and red reflex, even before they can speak! 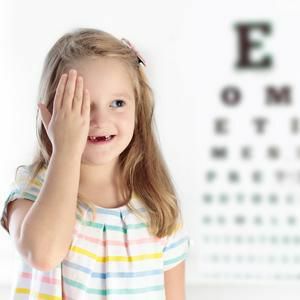 If there is a family history, on the mother’s or the father’s side, of crossed or crooked eyes, lazy eye, patching as a child, eye muscle surgery or wearing glasses as a child, we recommend that our younger patients have their eyes examined by age 1 year old. Our adult patients, with no eye problems, should come in for an exam at least once every three years. Once you reach the age of 40, it's important that you increase your eye exams to at least once a year. Vision is the key to a large percentage of what children learn, so it's crucial to make sure your child's vision is correct or corrected by the time she or he begins kindergarten. An eye examination doesn't just check for visual acuity; our ophthalmologists and optometrists will also check for other vision problems that affect learning, such as amblyopia or tracking problems. If there are difficulties with reading or in school, or if there is a family history of dyslexia or other learning disabilities, it is important to be sure that there are no eye problems that might be contributing to learning issues before beginning an appropriate remediation program. It's much easier to successfully treat these conditions when they first appear, often before any symptoms arise. This is why you should have your eyes examined every year, even if you don't have any eye symptoms. During younger adulthood, it's still important to get your eyes examined on a regular basis. 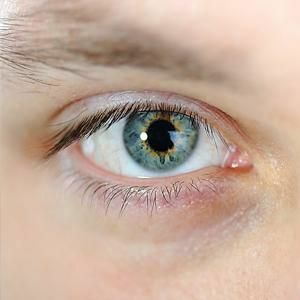 Some eye conditions, like glaucoma, may cause your eyesight to deteriorate so slowly that you never know it's happening, affecting your work, driving, and everyday life. 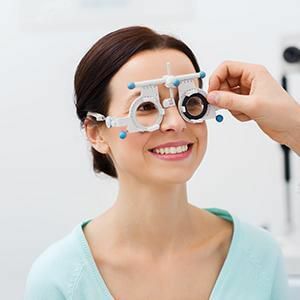 Healthy Vision Month is the perfect reminder that an eye examination is as important as a trip to your dentist, or your annual physical checkup. You rely on clear vision for every aspect of your life, so making sure your eyes are in good health is an important part of preventative medicine for you and your family. Looking for an Ophthalmologist or Optometrist in Burlingame? Now is a great time to pay attention to your eye health, before summer arrives, and you're busy with weekend outdoor fun. If you haven't had your eyes examined in at least a year, or if your family members are overdue for a vision checkup, contact our office to make an appointment. Give us a call at 650-259-0300 and we'll schedule an appointment today.